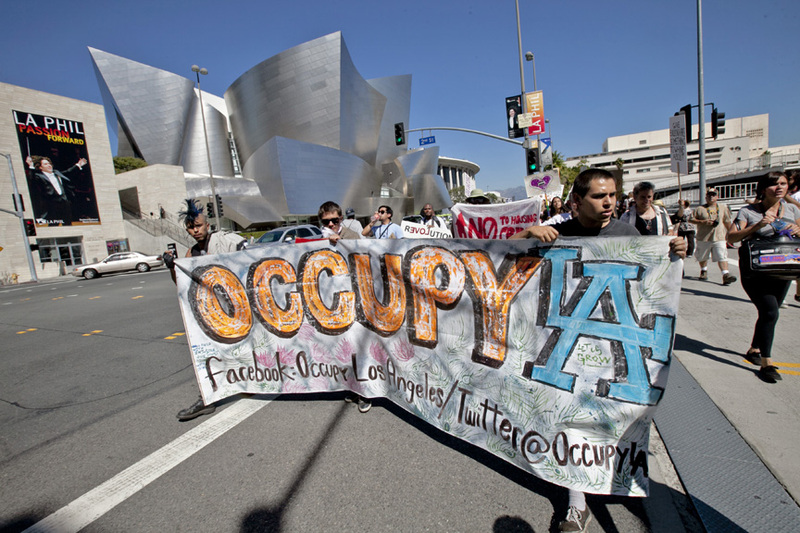 A small group of Occupy L.A. protesters held a noontime march from L.A. city hall to the Bank of America building in downtown L.A. 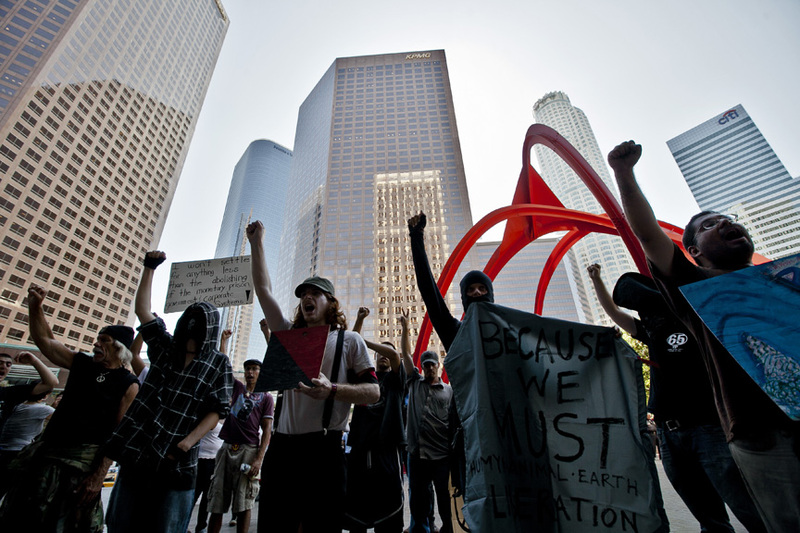 They held a small, peaceful, and loud rally on the steps of the giant Bank of America building. 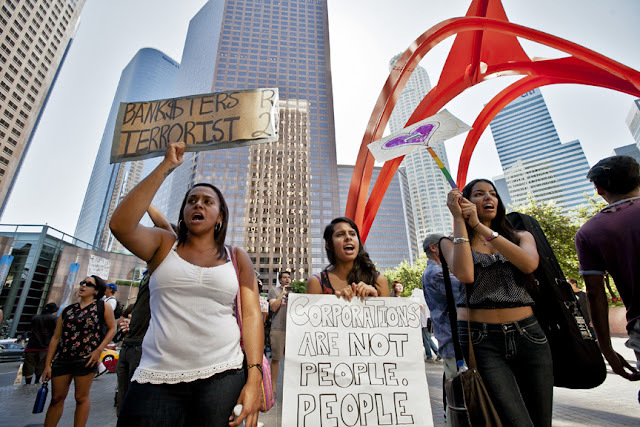 Occupy L.A. at B of A. The "Dude" conducting in the background.